This APM Contract Management elearning course is aligned to the specification of The Association for Project Management and the Project Management Institute, and lasts for 260 minutes. 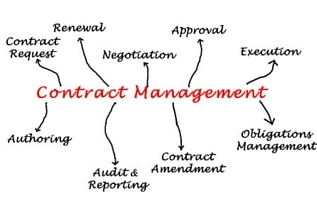 The Association for Project Managements defines contract management as “the management of agreement(s) made between two or more parties that create legally binding obligations between them”. By taking the APM Contact Management course you will learn how to manage the legally binding obligations between the two parties, and what actions to take if these obligations are not met. This well-made and extremely thorough elearning course uses interactive case studies and engaging content to teach you all you need to know about Contract Management in the context of Project Management. This course is beneficial for anyone who deals with contracts in the context of project management. As contracts are often a key issue when managing context, this course is extremely useful for anyone who needs to be aware of key contract terms and contract control. Taking this course will enable you to deal with contracts effectively and efficiently when managing projects. This will allow you to get the most out of the projects you manage, in addition to providing you with a good working understanding of contract management. The module also provides the contract management content required for those planning to work towards a professional qualification.